If you’ve found this page as a result of anxiety or suffering panic attacks then you’ve come to the right place. Do you worry about situations in which you might panic? Have you felt scared without any good reason? Have you experienced an increase in heart rate and breathlessness when not exercising? Do you have difficulties sleeping due to worrying? Do you have a phobia including flying, heights, spiders? Do you excessively worry about your health? 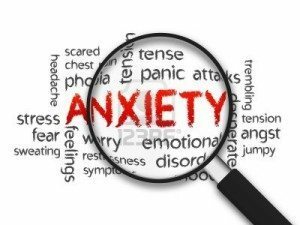 Anxiety can display many symptoms and can be debilitating to an individual. Those who have suffered a panic attack can attest to the feelings of helplessness associated with anxiety. Fortunately help is at hand and much closer than you may think. Call me on 0403 197 533 or contact me via the online contact form below. Complete confidentiality is assured and with over 12 years experience of treating anxiety and helping my patients deal with their day to day lives it may well be the most positive contact you have ever made.